Parents want the best for their children. That is why we are often asked about Bumbo Seats. Parents want to know: Is it okay if I use a seat like this for my child who cannot sit up yet? Will this device hurt my child’s development? These are important questions to ask, given that infant motor pattern development begins from the day a child is born and can affect everything from their ability to roll, crawl, and walk to play sports in high school. But finding a clear answer can be confusing due to the contradictory information about these device’s appropriateness, depending if you ask the manufacturer or a motor pattern specialist. Typically, new parents receive Bumbo Seats as gifts before the arrival of a child. These seats are commonly used to prop up children before they are able to sit up and get into a seated position on their own. The manufacturers of this seat claim to do just that and the seats do so effectively. However, the seats do not take into account infant motor pattern development research, such as that from the paradigm of Dynamic Neuromuscular Stabilization, that contradict the use of such devices. Claim 1: It’s okay to prop up a child before they can do so on their own. The problem is that infant floor seats are so effective at helping a child sit up, that they compromise the child’s ability to develop the core stability to get into a seated position on their own and may prevent the child from moving in natural and independent ways over time. Then the child may be at risk of developing abnormal motor patterns, which can affect everything from everyday movement as a toddler to athletic participation as a teenager and into adulthood. When an infant first moves, they have very little control. But, if allowed to move independently, they develop more stability and strength over time. 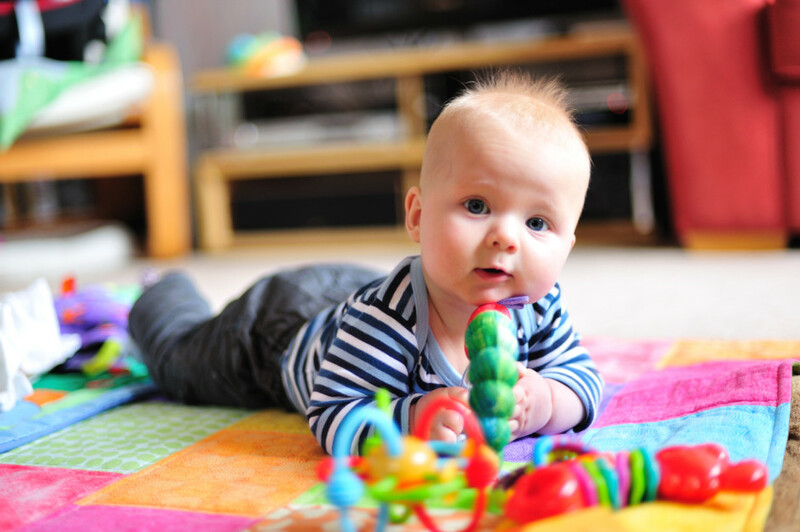 Without intervention, a 6-month old infant will begin to roll over and crawl. As time continues, they will develop the stability to sit up on their own for short periods of time. Between 6-12 months, they will be able to sit by themselves for longer periods of time. In order for these motor patterns to develop, the child must be able to interact with its environment without support and without obstruction. These exciting milestones, part of the developmental process, happen when a child is ready and when they have developed all the necessary motor patterns to do so. So, from a biomechanical standpoint, when a child who cannot sit up by his or herself is forced into this position artificially by an external device like a Bumbo Seat, it does not benefit them in the long run. Claim 2: Your baby will get to interact with their environment. It is true that the chair allows infants to interact with their surroundings. However, in providing support for the baby’s posture, the chair discourages the child from developing their own stability. Instead, the best environment for this experimentation and discovery is uninhibited on their tummy and their back, in a safe place. This position will still allow the child to interact with their surroundings, while supporting their natural and complete progression of development. However, tummy time is just as good or better for encouraging interaction with their surroundings, as infants can get sensory input that will trigger brain and motor pattern development in a natural progression. 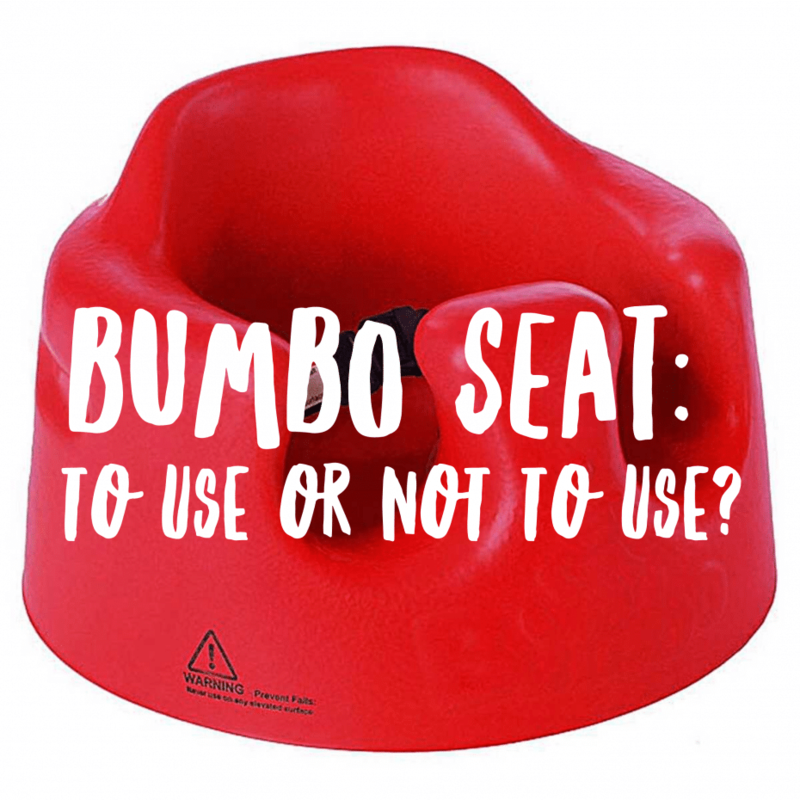 We suggest no Bumbo Seats or other infant mobility accessories that encourage a child’s movement before she or he can perform that movement on his or her own. Such devices include walkers, jumpers, or exercausers. Opt instead for tummy and back time for infants starting from birth. These safe, effective, and mobility-promoting options are the ideal positions for babies to grow from the ground up. As children develop their own core stability and their own ability to sit, these devices may be considered. However, we still encourage patients to limit the use of these chairs and devices, opting instead for tummy time. Infants are incredible adapters and learners. And infants require time on their backs and tummies to develop. That is why we do not recommend Bumbo Seats and other fixed devices for infants, like infant floor seats and jumper seats. Instead, keep it simple and let your child develop at their own pace with little intervention. Then at every milestone, you will be there to celebrate with them! Curious about your infant’s development? Speak with a developmental kinesiology specialist like Dr. LoRang. To book your infant for an assessment, just call us at 515-421-4018. We’d love to see your little one!